Rani and Barbican hold market leadership positions within the respective beverage category in which each competes. 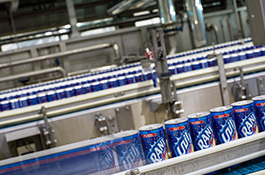 Rani is the leader in the juice drink category, while Barbican in the malt beverages category. RR brand’s core markets include Saudi Arabia, Kuwait, Bahrain, Qatar, the UAE, Oman, Iraq, Jordan, Yemen and Egypt, with additional brand presence across North Africa, the Levant, East Africa and South East Asia.